Preikestolen is one of the most famous cliffs in Norway. It reached the stardom even before Travis Fimmel sat on it in “Vikings”, and even more before Tom Cruise hanged from it in “Mission Impossible: Fallout”. On the side note, the latter one pretends that the Pulpit Rock cliff is actually in Kashmir, India! That did not slow down the constant rise of touristic interest in this unique Norwegian lookout. 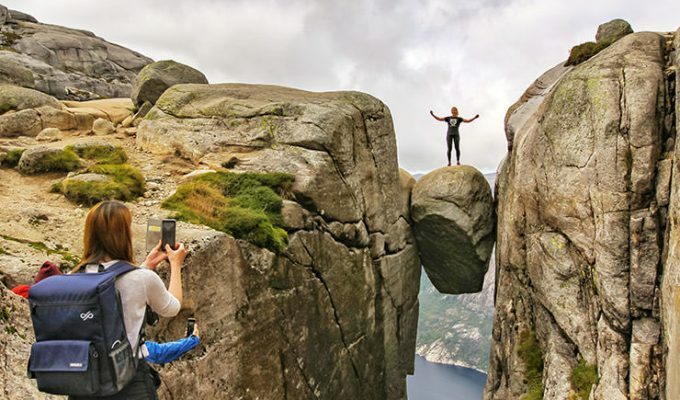 More than 270 thousand people do the Preikestolen hike every year, eager to reach the cliff that is terrific and terrifying at the same time. 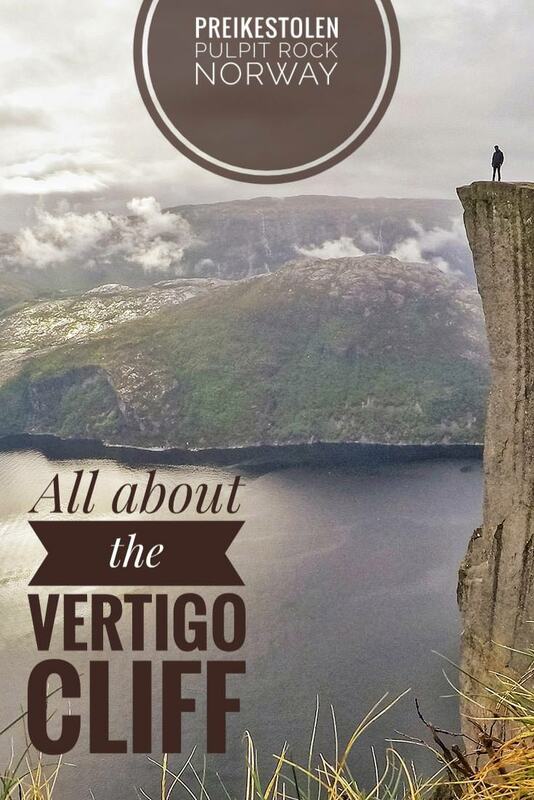 If you manage to finish the Pulpit Rock trail without vertigo, congratulations! 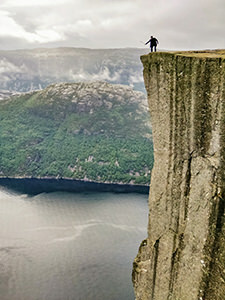 You are a part of the fearless hiking family that is consistently defending Preikestolen’s reputation as one of the top hikes in Norway. The famous hanging rock of Preikestolen was formed during the ice age, 10.000 years ago, during the melting of the Lysefjord glacier. The water that froze in the mountain crevices broke off large blocks that were carried away with the glacier. Pulpit Rock resisted and stayed on the top as if somebody would have carved it out with a knife. The mountain plateau gained its touristic boost at the beginning of the 20th century. Preikestolen star history starts with the gymnast Thomas Peter Randulff who conquered it first, after seeing it from the steamboat. The captain of the boat was the one who pointed at the big rock above the fjord, saying that it resembled a preacher’s pulpit (preikestolen). This is how the rock formation previously known as Hyvlatonnå (planed tooth) got its modern name. This flat mountain plateau protrudes roughly 30 meters from the mountainside, which efficiently produces gooseflesh in an average visitor. Yet the call of the selfie at the edge of the cliff is irresistible for the most. One doesn’t need to be a priest to peep out from the Pulpit Rock lookout. Many visitors lay down on their belly while peeking over the edge into the abyss. The braver ones sit on it with their legs freely hanging, while some parents with a dubious sense of responsibility let their baby crawling on the mountain ledge so they can snap that perfect photo. The visitors open to extreme sports in the challenging setting engage in doing one-armed handstands, BASE jumping, slackline walking, trampoline jumping, or even something as stupid as free hanging from the cliff. If you want to hike in even more dangerous setting, head to Indonesia. Kawah Ijen Volcano is the most toxic place one can climb! 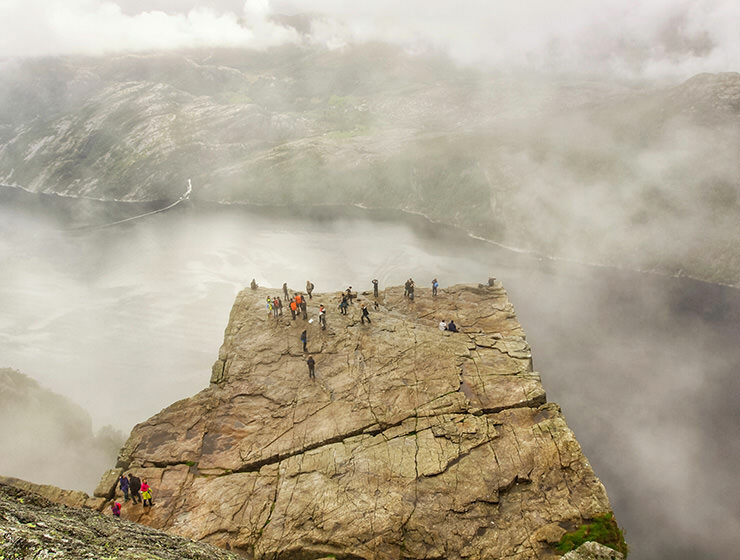 Even if the square-shaped rock high above the fjord is the primary goal for most of the hikers, the scenery along the path to Preikestolen is equally breathtaking. Lush pine forests, boardwalks and bridges, lakes and cascades. It all adds to the beauty of the hiking experience. Preikestolen hiking trail is well signposted by the Trekking Association’s red-painted T-markers. There are also signs showing the distance to the top and back to the parking, where the hike starts. With so many people going, one could hardly get lost anyway; just follow the crowds! Parts of the path are granite stairs that were laid down by Sherpas from Nepal. This made the hiking to the Pulpit Rock easier than it was before. It is still a physically demanding adventure for most people. Preikestolen hike with baby falls under this category. Even if I have seen hikers with small dogs and parents with small children, I would advise you to bring the weaker ones on the Pulpit Rock hike only if you are prepared for a lot of stops and extra weight on your shoulders when kids decide to give up walking. 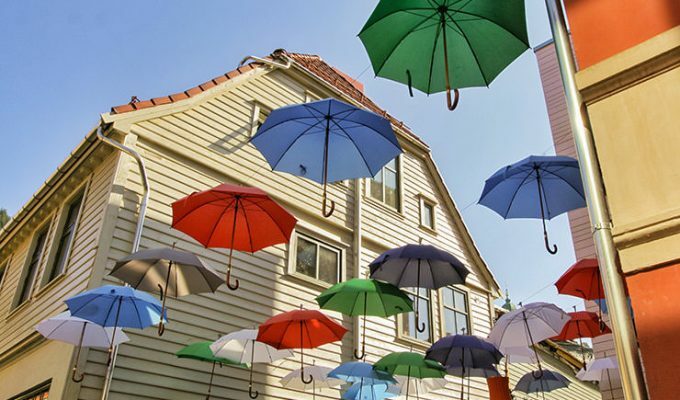 How far are you ready to go for the perfect photograph? 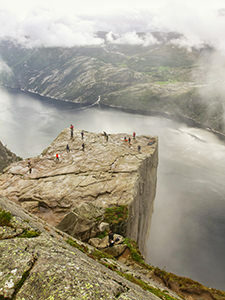 With the long history of touristic exploitation, it is unusual that Preikestolen does not count many deaths and accidents. In 2013, Diego Garcia Calleja (26) seemed to be the first tourist to die from the accidental fall. His travel companions reported that before heading down from the Pulpit Rock, the Spanish hiker returned to take a few more photographs and then they heard the scream. Only after his death, an automated farewell message appeared on his Facebook wall, revealing that he wanted to end his life in a “nice place”. 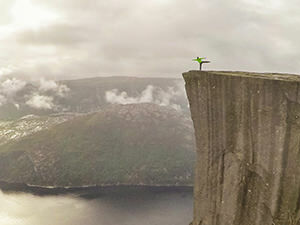 An Austrian woman and a Norwegian man made the same choice earlier; in 2000, they formed the suicide pact on the internet and jumped together off the Preikestolen cliff. Don’t play James Bond, and you should be fine! Just like the other 270.000 careful visitors every year! Whether with an intention or by accident, modern tourists approach the Pulpit Rock edge quite carelessly. The authorities were considering fencing the rock, but the idea quickly fell through the cracks. The fence would definitely affect the aesthetics of the site. There was also an understandable fear that the fence would motivate even riskier behavior of the adventurous tourists. Maybe it is more beneficial to teach that Norwegian nature is dangerous, and we should approach it with respect. Don’t play James Bond, and you should be fine, just like the other 270.000 careful visitors every year! Well, except those that make Norwegian People’s Aid arrive in helicopters to perform several dozens of rescue operations per year due to hiking injuries at Preikestolen. Yes, it definitely will. The future when this will happen is however not foreseeable. 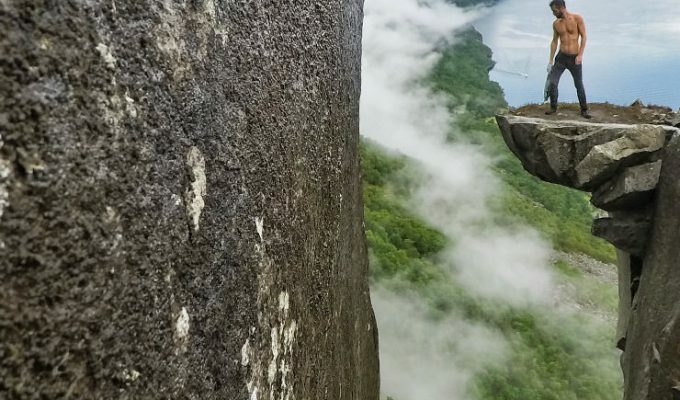 There is a crack in Pulpit Rock that is several meters deep, and in 2017 the measurements concluded that the gap has widened by 2-3 millimeters. As The Local reported, geologists will continue monitoring the site. The legend says that Preikestolen will tear itself off the mountain when seven sisters marry seven brothers from Lysefjord area. The fall of the plateau into the fjord will create a tsunami that will kill everyone in the area. The similar scenario already happened in Norway in 1934, when the wave resulting from the mountain rock fall in Tafjord killed more than 40 people. As “The Wave”, Norway’s disaster movie from 2015 shows, we should never underestimate the unpredictable nature. 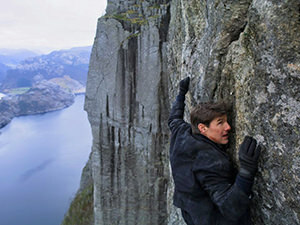 For an additional excitement, would you try climbing mountains with no clothes on? Meet Erik, the naked hiker! Preikestolen – when to go? Preikestolen hiking season is open from April till October. Beware, June, July and August are the busiest periods, so aim for the shoulder season to enjoy the place with lesser crowds. 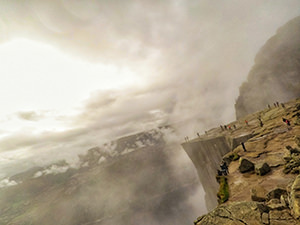 The best time to visit Preikestolen would probably be May and September, as a good compromise between the weather conditions and site popularity. Preikestolen winter hike is possible, but only with an organized guided tour. Early spring and late autumn hikes might make the paths more slippery due to the rains. Shoot for the weekday if you can, this will also reduce stumbling on people on Pulpit Rock trail. Preikestolen – where to stay? The nearest airport to Preikestolen is the one in Stavanger. I decided to stay in this town as it has a charm of its own, but is also quite well connected with the Pulpit Rock. I booked a room through Airbnb, just 300 meters away from the Fiskepiren ferry terminal. This convenient option cost me 37 Euros per night. If you are still not using Airbnb, consider registering through my link, and get 24 Euros travel credit reward after you sign up! If you want to stay closer to the Pulpit Rock, the obvious choice is Preikestolen Mountain Lodge (Preikestolen Fjellstue). Daily price is between 380 and 1275 Norwegian Krowns (40-132 Euros), depending on whether you stay in a dormitory or a single room with private bathroom. Then there is the closest place to Preikestolen, and that is the self-organized camping near the rock itself. 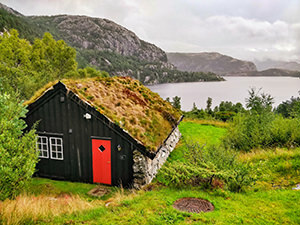 Thanks to the liberal Norwegian laws about camping in nature, this option is – free! It will also enable less stressful hiking experience, as well as the possibility of enjoying Pulpit Rock site during sunset or sunrise without the tourist jam. 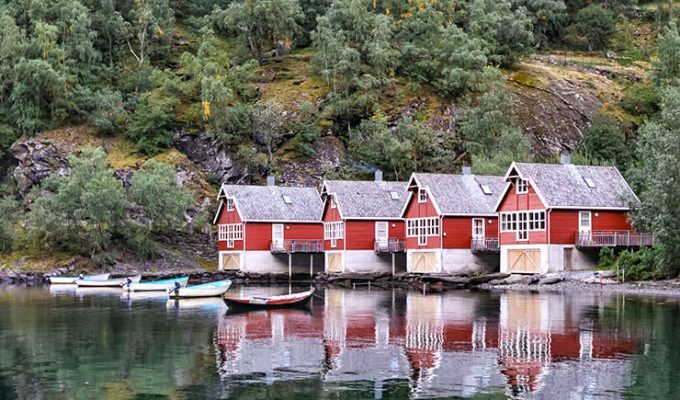 Still wondering where to stay close to Preikestolen? How to get to Pulpit Rock? Getting from Stavanger to Preikestolen is very easy. One needs to take the ferry from Stavanger to Tau, and then the bus from Tau to Pulpit Rock parking, the starting point of the hike. 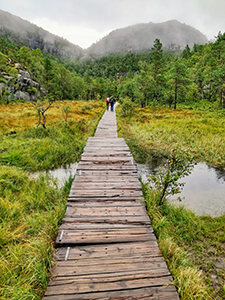 The hiking route from Preikestolen Mountain Lodge is clearly marked. Tide offers the combined ferry and bus ticket for 340 NOK (36 Euros). Pulpit Rock Tours offer the bus ride for 210 NOK (22 Euros), while the ferry ticket should be bought on board (120 NOK or 13 Euros round tour). If you are coming with your car, the parking fee at Preikestolen parking costs 200 NOK (21 Euro). 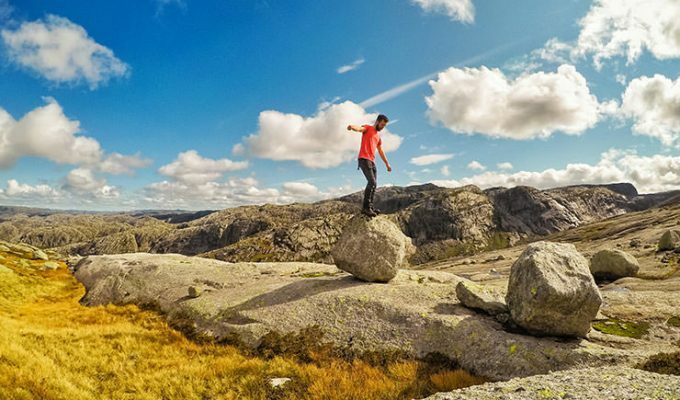 Fun fact: In 2016, Eirik Ulltang did Preikestolen hike on a bicycle – it took him 2 hours only, as if he would be an average walking hiker! Awesome article! Your attention to detail is amazing and I love the history behind Preikestolen as well! I will certainly be using this when I travel to Norway. Looking forward to reading more! Thanks, Keri! 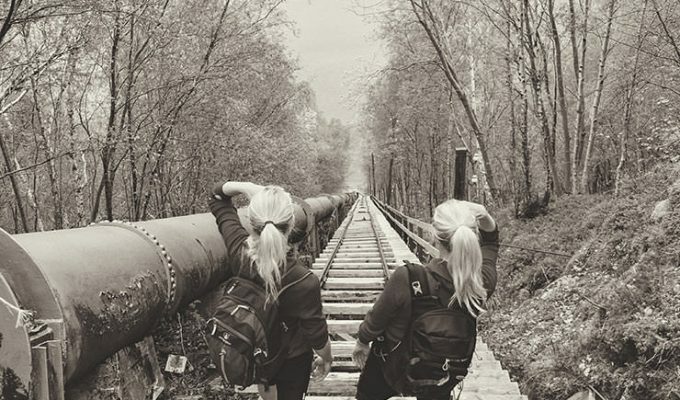 Stay tuned – more amazing Norwegian adventures coming to the site soon!